Jon David Poteet is responsible for the worldwide strategy, branding and execution of Diodes Incorporated’s marketing communications efforts, ranging from executive messaging and public relations to tactical initiatives such as web development, SEO and lead generation. With over 15 years of experience in in the tech sector, Jon builds solid brand identity, enhances corporate credibility and increases market penetration through widespread distribution via a variety of channels. Jon currently leads a worldwide marketing and communications team spanning Europe, Asia and the U.S. He has been instrumental in helping the Diodes Inc. grow market share by 72% from 2011 through 2017 by increasing global brand presence, online/search engine visibility, and optimizing distributor channel management for new products and product marketing. Prior to his experience in business, Jon served as an Infantry unit leader in the U.S. Marine Corps, which included combat engagements in Somalia and the Persian Gulf. 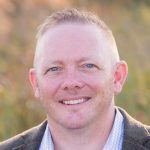 Jon holds a Bachelor of Arts in Technical Communication from Texas Tech University, and an MBA in Executive Management from The University of Texas at Dallas. Jon is also a Certified Blockchain Expert and actively participates in several groups focused around IoT, hyperledger and blockchain technologies, and cybersecurity. Jon is active in his community where he volunteers as both a Guide/Mentor for Veterans and does PR/communications for the GallantFew Veteran Support Network, to assist service members in making a successful transition from military service to a civilian life filled with hope and purpose. Jon also serves as a Director of Children’s Ministry at his church. The function of the IoT Community, is to focus on the adoption & application of IoT in commercial environments, seeking to understand & contribute to applying the technology or overcoming the wide variety of barriers, inhibitors, and technical & operational issues. As a member of the board, Jon, will provide impartial input and guidance to the overall vision, strategy and execution that is helping to shape the current and future direction for the IoT Community, as well as the broader IoT industry.